Lovely House Located IN THE Historic Center! Situated in a rural location, this property is steps from Val di Chiana and Archaeological Museum of Sarteano. Sarteano Castle is 0.2 mi (0.4 km) away. Albinaia 10+2 Sleeps, Villa With Private Pool at Exclusive Use! This family-friendly Sarteano property is located in a rural location, just steps from Val di Chiana and Archaeological Museum of Sarteano. Sarteano Castle is 0.5 mi (0.8 km) away. Monticchia 10 Sleeps, Villa With Private Pool at Exclusive Use! This family-friendly Sarteano property is located in a rural location, just steps from Val di Chiana and Archaeological Museum of Sarteano. Sarteano Castle is 0.3 mi (0.4 km) away. Muffato 6 Sleeps, Villa With Private Pool at Exclusive Use! This family-friendly Sarteano property is located in a rural location, just steps from Val di Chiana and Archaeological Museum of Sarteano. Sarteano Castle is 0.3 mi (0.5 km) away. Sferracavalli 4 Sleeps, Villa With Private Pool at Exclusive Use! 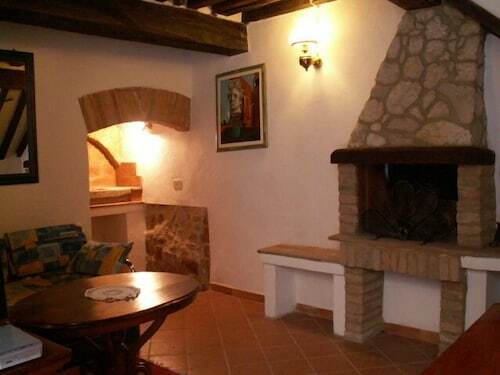 Situated in a rural location, this historic property is steps from Val di Chiana and Archaeological Museum of Sarteano. Sarteano Castle is 0.3 mi (0.5 km) away. 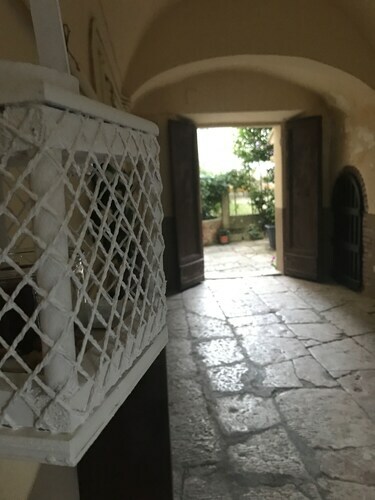 Situated in a rural location, this hotel is 0.7 mi (1.1 km) from Sarteano Castle and within 12 mi (20 km) of Chiusi Cathedral Museum and Dome of Montepulciano. Rocca di Radicofani and Palazzo della Corgna are also within 20 mi (32 km). 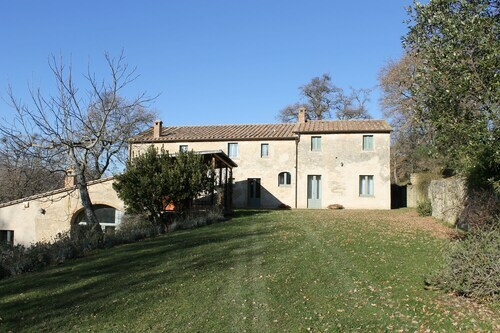 Situated in Sarteano, this historic property is steps from Val di Chiana and Sarteano Castle. Archaeological Museum of Sarteano is 0.1 mi (0.2 km) away. L'alcova 8+2 Sleeps, Villa With Private Pool at Exclusive Use! Situated in a rural location, this historic property is within a 10-minute walk of Val di Chiana and Archaeological Museum of Sarteano. Sarteano Castle is 0.6 mi (0.9 km) away. Situated in Sarteano, this property is 0.1 mi (0.1 km) from Val di Chiana. This family-friendly Sarteano campground is located in a rural location, within a 10-minute walk of Val di Chiana and Archaeological Museum of Sarteano. Sarteano Castle is 0.6 mi (1 km) away. Situated in Sarteano, this apartment building is within a 15-minute walk of Val di Chiana, Archaeological Museum of Sarteano, and Sarteano Castle. Terme di Chianciano and Chianciano Art Museum are also within 6 mi (10 km). A visit to Archaeological Museum of Sarteano is one sure-fire way to fill up some of your next vacation. You'll be pleased you made the trip to its home in Val di Chiana, roughly 80 miles (129 kilometers) from Rome, the nation's capital. There's a nice variety of 5 hotels that are within 2 miles (3 kilometers) of Archaeological Museum of Sarteano, but it's still worthwhile to make your reservation in advance. The La Lanterna, the Albergo Roberta and the La Torre ai Mari are a few that are recommended, and only 1 mile (2 kilometers), 0.4 miles (0.6 kilometers) and 1 mile (2 kilometers) away, respectively. You can save your money for more exciting adventures when you enjoy a few nights at one of the moderately priced solutions that are a short drive away. You will find the Poggio Piglia and the Agriturismo La Sovana a reasonable drive away. You won’t regret spending a night or two at the Parco delle Piscine - Campground. It's 0.4 miles (0.6 kilometers) away, making it the one first-rate solution within walking distance. Within a brief stroll of Archaeological Museum of Sarteano, BAR LA GIARA is a fantastic spot to get a taste of the local cafe culture. Another much-loved establishment is La Locanda dei Tintori, which offers diners a wide selection of dishes and a convenient location. Tourists desiring a drink or two can pull up a stool at Bar Centrale, also just a short walk away. Imagine everyday life for history's nobility as you tour Sarteano Castle, a remarkable historic castle. Fans of creative works should stop at Chiusi Cathedral Museum where they'll be truly in awe. Learn a great deal about the intriguing lives and practices of people from different cultures at Chiusi National Etruscan Museum. Go to admire the hot springs of Piscine Termali Theia. Fans of artistic creations should make plans to stop at Chianciano Art Museum where they'll be truly impressed. How Much is a Hotel Room in Archaeological Museum of Sarteano? 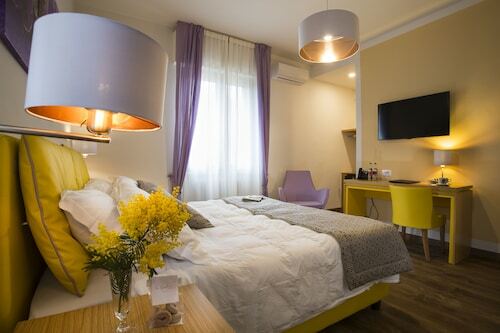 Hotels in Archaeological Museum of Sarteano start at $80 per night. Prices and availability subject to change. Additional terms may apply. Terra Quercus 7+1 Sleeps, Villa With Private Pool at Exclusive Use! Poggio Mori 20 Sleeps, Villa With Private Pool at Exclusive Use! SAN Francesco 12 Sleeps, Villa With Private Pool at Exclusive Use! Podere Gragnano 12 Sleeps, Villa With Private Pool at Exclusive Use!